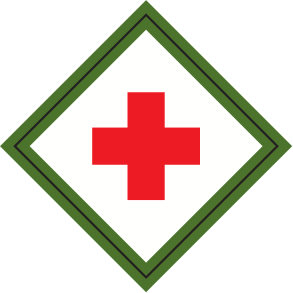 The First Aid Meet is an event that challenges Scouts abilities to perform first aid in simulated real-life situations. Scouts in troops (patrols) compete in practical first aid problems, displaying hands-on skills from the Scout Handbook, First Aid Merit Badge pamphlet and current American Red Cross guidelines. Trophies will be awarded to the top three patrols. The top three scoring patrols represent the district at the council first aid meet. 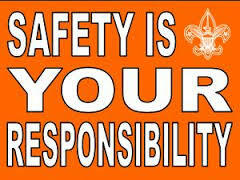 Scouts will be judged on first aid skills, team building skills, leadership skills and Scout spirit! Webelos Scouts can work on the requirements for the Webelos First Responder Adventure Pin. The registration fee includes a patch. Door prizes will be given away. At checkout, pay with a credit card, electronic check, or PayPal. Council refund policy. There is no onsite registration or payments made by cash or check. Each patrol will be presented a problem and will have a set amount of time to solve the problem. At each problem, there will be four performers and one victim (any other patrol member must “sit out”). Each member must serve as a victim in at least one problem situation. No books or pamphlets are allowed. Judges: Each patrol should provide at least one Scouter or parent that can serve as a judge. While not mandatory for participation, this adult judge will ensure enough judges to assist with the meet and finish in a timely manner. Judges will be instructed in scoring procedures prior to the scenarios and will not judge their own team. Trophies will be awarded for the top three teams and a patch given to all registered Scouts. Scout's name will be entered into the door prize drawings. For questions, contact the First Aid Meet chair or district activities chair.